The Delhi Food Safety Department is collecting samples from various parts of the city after rumours surfaced of rice being made of plastic. 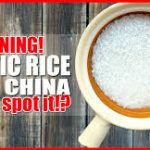 According to sources, it seems that sugar too is being said to contain some percentage of plastic. “There were videos on social networking platforms about rice and sugar being made of plastic. We have started a check and are collecting samples from different parts of Delhi,” said an officer from the Department of Food Safety. In the last two weeks, the Department of Food Safety has collected around 20 samples of rice and sugar from various parts of the Capital. Around 20 such samples have been collected and sent to the lab. 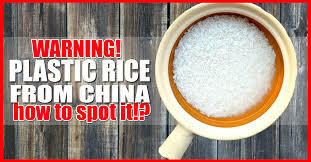 According to doctors, plastic rice, when ingested along with real rice, is not digested and can lead to serious gastric problems. “Rice adulterated with plastic can be cancerous, and consumers should be really careful about it,” said Dr SK Sarin, Director, Institute of Liver and Biliary Sciences.